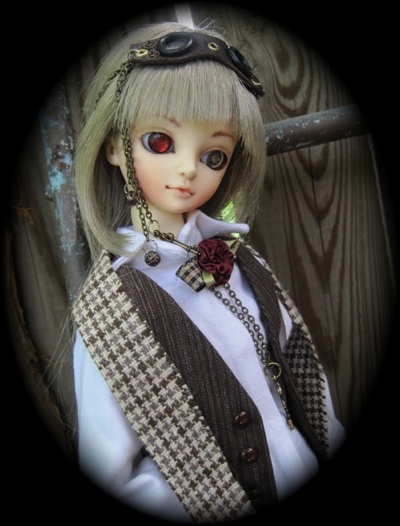 Little Monica has posted Enrill, Vampire Edition. 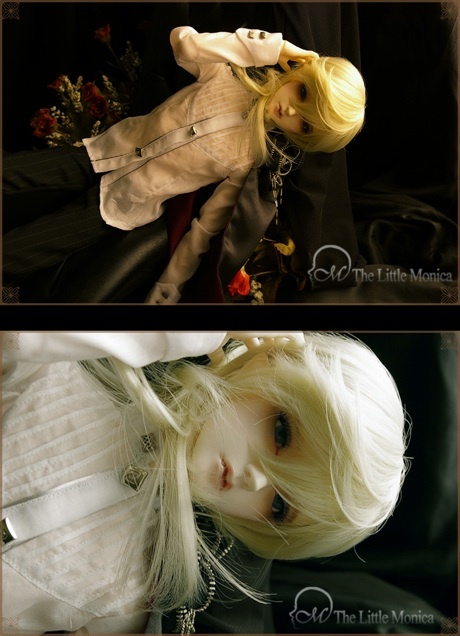 The doll will be available in normal or white skin resin and with body type A or B. 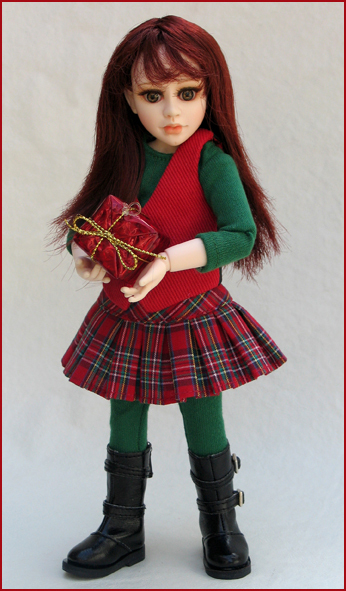 The doll will only be available for purchase between February 20 and March 7. Shipping is planned to start between April 8-12. Enrill will be sold with a pair of light violet glass eyes, default wig, face-up, extra hand parts, and outfit (Shirt, pants, cloak, band). Enrill can also be ordered at nDoll. Limhwa has released the new 27 cm tall To You Sara. 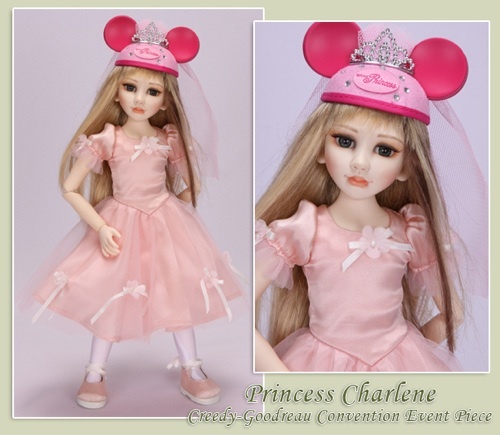 The doll is being sold at a special 1st Edition price until March 1st. A new Aria series doll has also been released. The Limho boy joins the recently released three girls.To You Sara can be ordered in white, normal beige urethane resin, and tanned resin. She comes in a choice of doll-only or doll with random eyes and wig. Face-up is available for an additional fee. Aria Limho is 26 cm tall. 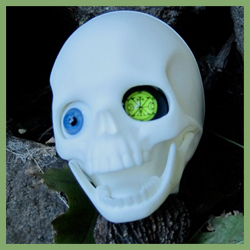 He can be ordered in white, normal beige urethane resin, and tanned resin. 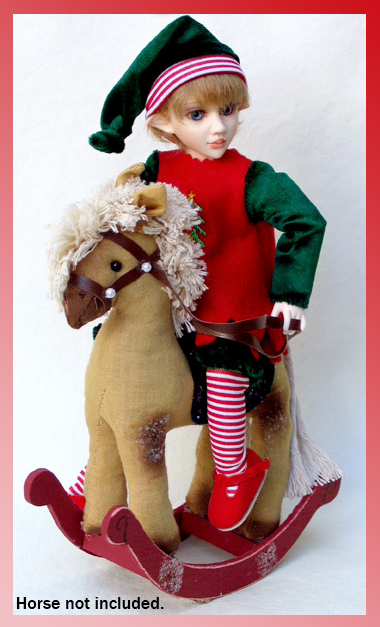 Limho comes as a basic doll with optional eyes, wig, and face-up. For a limited time, purchase of an Aria doll will come with a free gift. The girls will come with a blouse, and Limho will come with a pair of trousers. Limhwa 57 cm tall girls are also available for pre-order at this time. The forst 10 orders will recieve free high-heel feet.